This was an old/early attempt to merge several things and try my luck at a diorama. 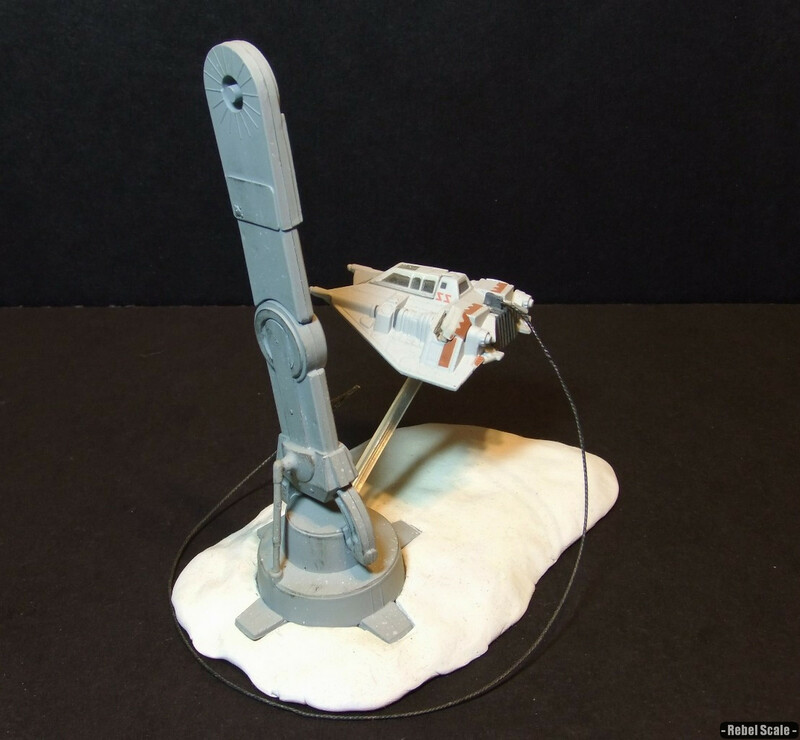 The leg is from the AMT/Ertl AT-AT model, and the Snowspeeder is the early release Titanium. The tow cable is just thick “kite” twine. 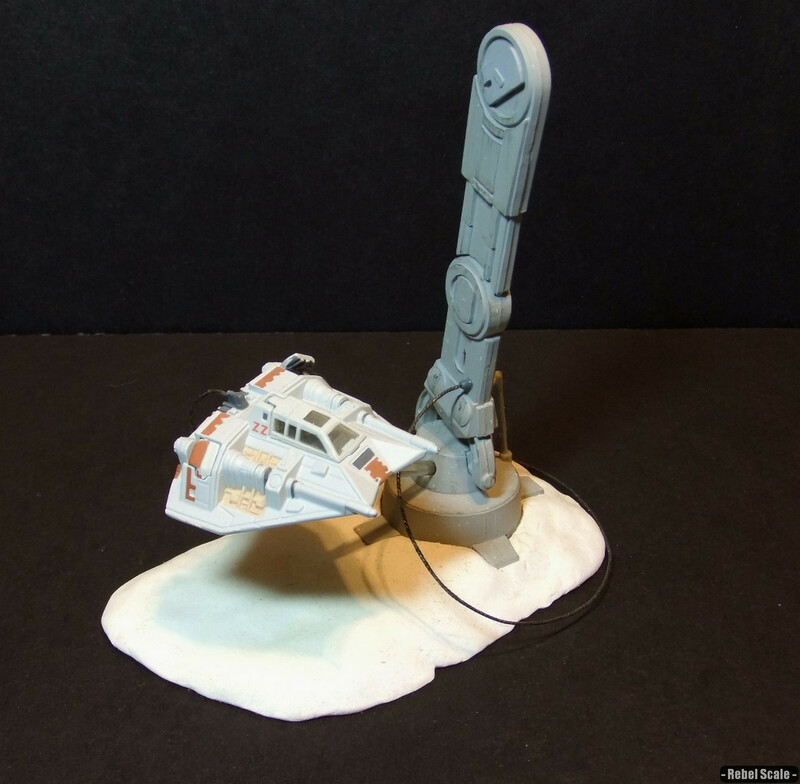 I made the base out of Super Sculpey and then painted it white. I even added a little talcum powder to the top to simulate snow. Unfortunately, the sun really “yellowed” the paint, and I really don’t have a desire to rework it. It will probably get scrapped eventually, but at least I have some pics.